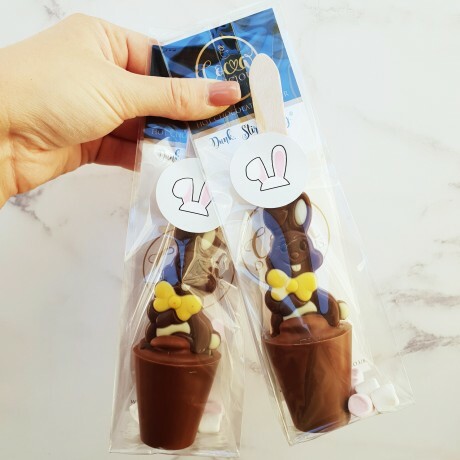 The perfect Easter chocolate gift. A milk chocolate spoon, topped with a chocolate Easter bunny shape. 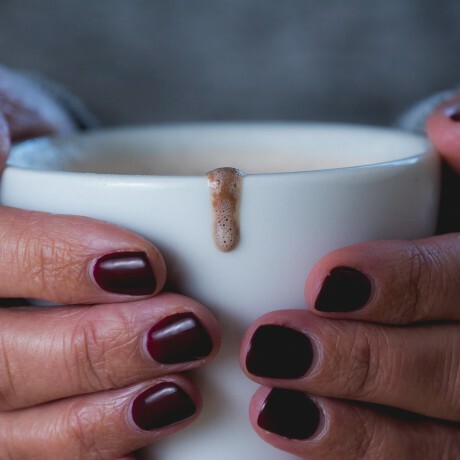 Stir into hot milk for a delicious hot chocolate drink. 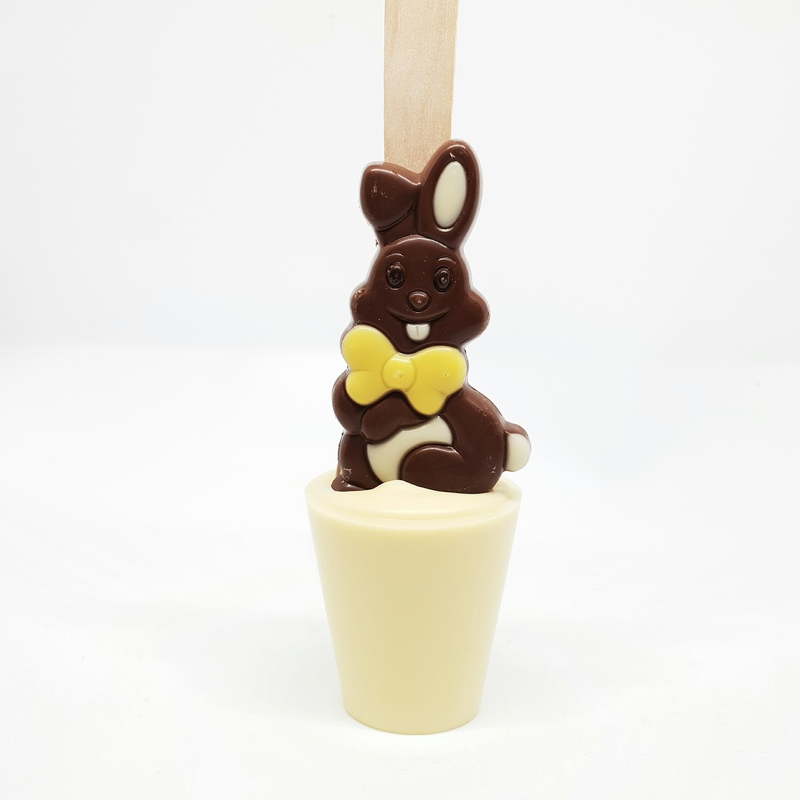 Our Signature hot chocolate stirrers are the perfect Easter chocolate gift. Our Gourmet Hot Chocolate Stirrers are lovingly handcrafted in small batches from the finest Belgian Couverture Chocolate on the Norfolk-Suffolk border, ensuring a high quality finish with an attention to detail. 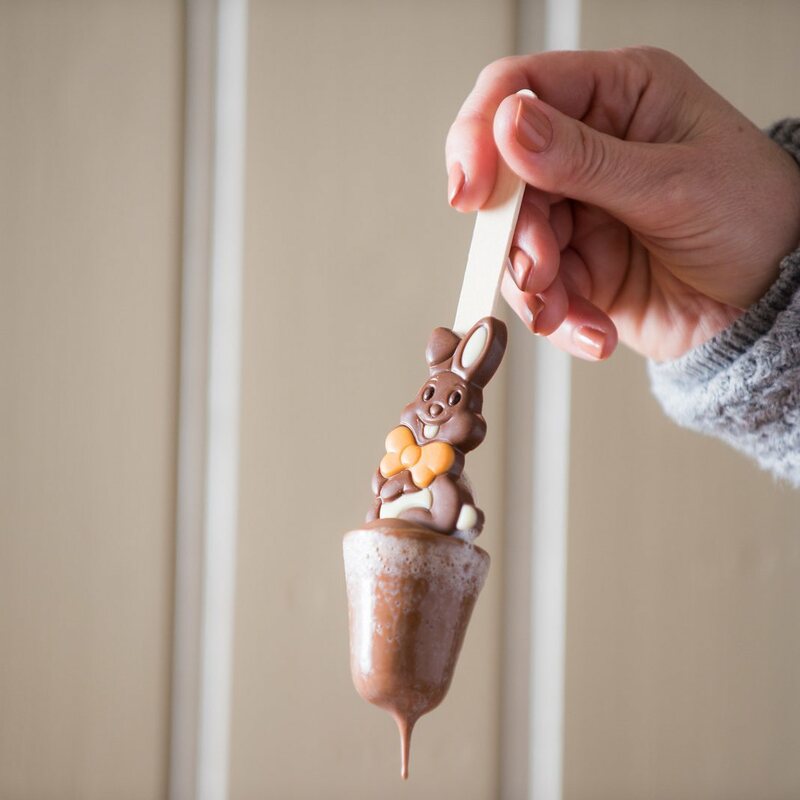 Milk chocolate stirrer with chocolate bunny. Milk Chocolate: (min cocoa 33.6%) Sugar, cocoa butter, whole milk powder, cocoa mass, emulsifier (soya lecithin), natural vanilla. 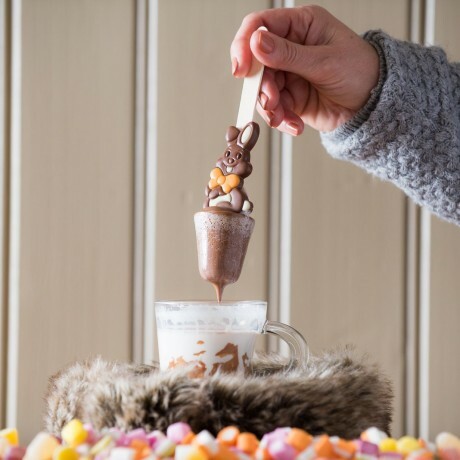 Bunny: sugar, cocoa butter, cocoa mass, full cream milk powder, skimmed milk powder, soya lecithin, natural vanilla flavouring, safflower, lemon, colours (E100, E120) cocoa mass solids 28.1% min, milk solids 15.9% min. May contain egg traces. Glad to find a vegan alternative for Easter treat. 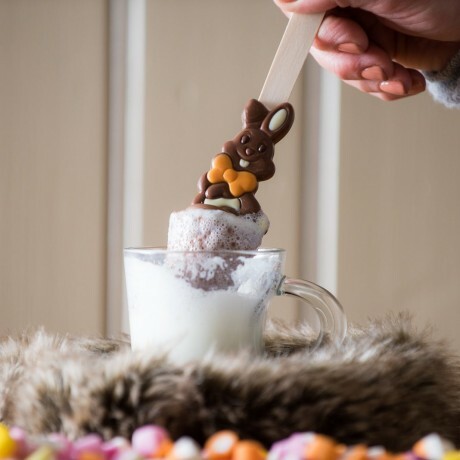 Glad to find a vegan alternative for Easter treat. Product great, and delivered really quickly. Thank you. This product is dispatched by Cocoa Delicious. This item has a shipping weight of between 210g and 210g depending on the options selected.